For any camping trip, you will want this Jay Feather expandable in tow! This X17Z is lightweight and easy to pull behind most vehicles. You can easily sleep six people with the front and rear tent end beds plus there is a dinette and sofa that can accommodate a weary camper! With the five year warranty on the Jayco DuraTek vinyl tent material with zipper windows your expandable can withstand just about any camping weather conditions for years to come! Meal prep is not a problem with the three burner range, refrigerator, and sink. 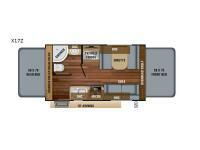 Outside you will find a 10' power awning plus exterior storage and more! When you choose a Jay Feather expandable you can rest assured that you have chosen quality construction with features such as an aerodynamic, rounded front profile with front diamond plate plus there are vacuum-bonded, laminated bed platforms with reverse-cambered support of 1,000-lb. capacity, plus water-repellent, scratch-resistant Jayco DuraTek vinyl tent material with zipper windows. 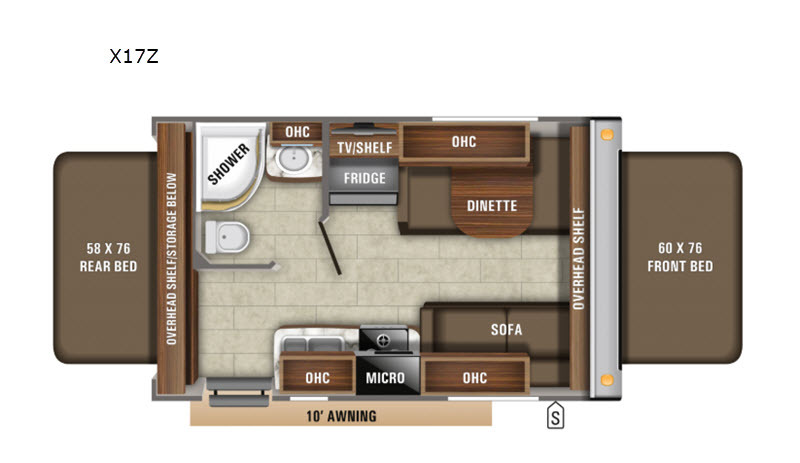 Inside you will find full kitchen amenities, LED lighting throughout, and ball-bearing drawer glides with 75-lb. capacity. 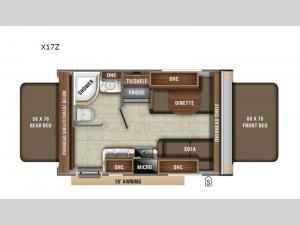 The mandatory Customer Value Package includes features such as American-made nitro-filled Goodyear radial tires with self-adjusting brakes, a power awning with LED lights, an outside shower, plus AM/FM/CD/DVD/Bluetooth stereo and more! For your next camping trip, come choose a Jay Feather expandable!